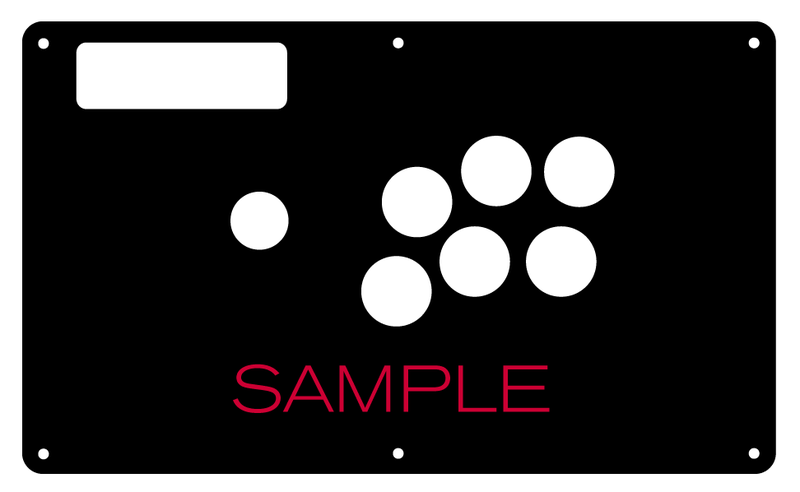 Please note that artwork for this Fightstick requires a plexiglass replacement. 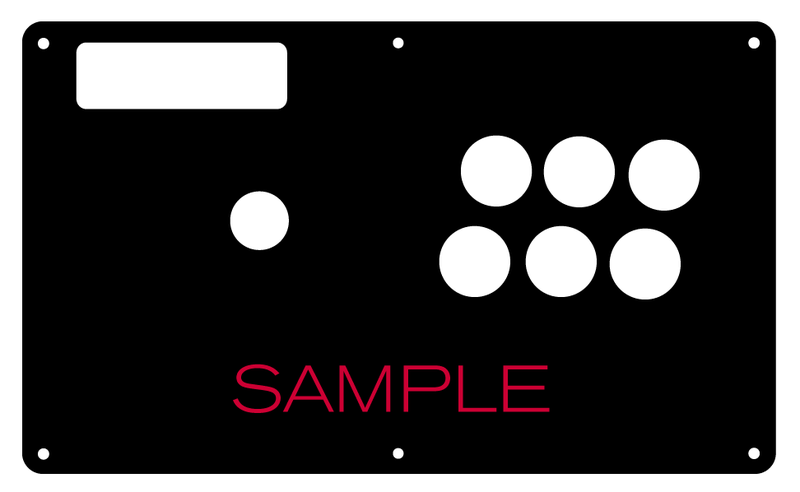 The original Fightstick panel contains artwork that is permanently attached to it, the panel was not originally designed to accomodate custom artwork, or did not come with a plexi panel. 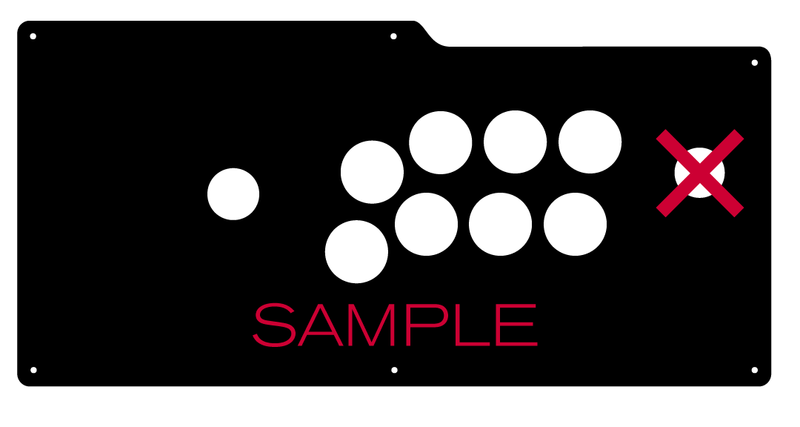 After adding custom artwork to your cart, look for the Fightstick Plexi that matches your Fighstick model. 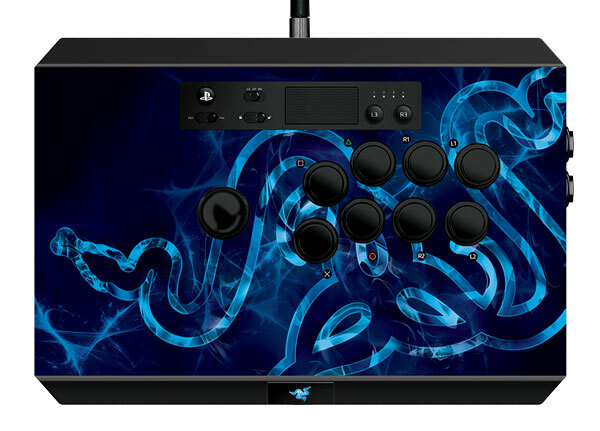 The artwork is designed to fit the Razer Panthera for Playstation® 4/3. This will not fit the new Razer Panthera EVO (2018 model), nor Razer Atrox for Xbox One or Xbox 360. Blank plexi, custom etch plexi and artwork for this Atrox are available. Open the Panthera by pressing the button with logo on the Fightstick's front panel. The top panel will disconnect from the bottom and swing upwards. Take note of the wiring, as you will need to remove the buttons. Thankfully, a wiring guide is located under the top panel (pictured). With needle-nose pliers, remove each wire from the button by pinching on the disconnect. You can press onto a small tab on each disconnect to easily remove it from the button microswitch terminals. The Panthera control panel is glued down to the metal panel underneath with a strong adhesive. Use a heat gun or hair dryer to gradually weaken the bond. Focus on one area first in order to create a small a gap, enough to position a flathead screwdriver or other wedge between the plexi and metal. With a screwdriver, continue to heat the acrylic and loosen the adhesive while prying away the acrylic panel top from metal panel below. Note that you may have scratches on the panel as a result - this is normal and will not affect installation of the new artwork. Some of the adhesive is pretty stubborn. You can use liquid adhesive remover solutions such as Goo-Gone, or continue to heat the adhesive on the panel to weaken further and peel away the glue. Let the Goo-Gone set in for 15-20 minutes or longer to loosen the adhesive bond to the panel. On the top four corners of the underlying metal panel you will find a conical Phillips screw. If you intend to use the screws that came with your Panthera to install your panel, please keep those screws. This photo illustrates which screws to remove and put aside. Your panel will come with contour cuts to accomodate those screws. You can still use TE hex screws as an optional purchase should you like to highlight your stick with colored screw tops. You have several options to personalize your control panel, such as button layout, removal of control panel or screws in some models, button label etching, and text etching. Some Fightsticks, such as the popular MadCatz TE, offer additional personalization options by removing default elements such as control panel, start button, or screws. Cut options are defaulted to their authentic counterpart, displayed as [YES (default)] in the options list. For example, a MadCatz TE, the default configuration is to have the turbo/guide portion of the control panel cut, so that the control panel can fit properly. You have the option to select [NO] to prevent cutting these areas. Cut Control Panel? [NO] - If you own a MadCatz TE, and installed a PS360+, you may no longer need the Turbo/Guide area of the control panel, located at top left. This option allows you to remove the Turbo/Guide portion. Please note that you MUST remove the actual control panel on the TE by unscrewing it before applying the plexi, or you risk damaging the plexi. Also, please make certain to select this option if you are also choosing to have artwork printed, or the plexi and artwork won't match. Cut Start Button? [NO] - On some joysticks - such as the Qanba Q4 - the start button is directly on the panel. You can select to have this removed. You can also select this should you desire a panel similar to the Eightarc Fusion or Synthesis series Fightstick, as the start button is moved elsewhere. Again, this option is available on specific joysticks. Cut Middle and/or Bottom Screws? [NO] - Selecting "no" on this option allows you to remove the middle top and bottom screw holes on specific joysticks, either for a cleaner appearance or to avoid rubbing your wrist against the screw. Please reconsider this option if you intend to have a full panel etch on your plexi, as etching physically changes portions of the plexi due to heat. In this case, it is best to leave the screw holes in place in order to keep the panel securely positioned. Update from FA: Purchase was made during documented February and March high demand period. New methods were implemented and equipment was since purchased to address delays.